BIO:Dr. Rappaport’s passion for motorsports racing comes from his appreciation of the beauty of the cars, fascination with the technology and the challenge of perfecting every detail to win. He began racing three years ago with the Sports Car Club of America, where he met his now coach and mentor, Robert Orcutt, and was fortunate to win his first race in GT2 in a Porsche Cayman. He won his next SCCA race also and that was all it took to know this was something he was meant to do. 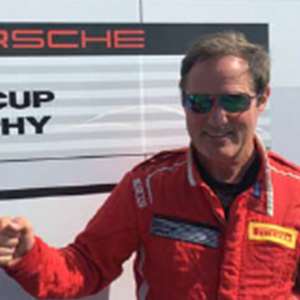 Dr. Jim approached racing with the same dedication, focus and hard work that has made him such a sought after Spinal surgeon for the past 34 years and, with the support of Robert and the TRG team, his skills progressed rapidly and he quickly moved to the Pirelli Trophy Cup series last season. 2018 was a great year for Dr. Jim with a win in the GT4 category at Thermal, multiple second place podiums and a strong finish to the season in second place for the Championship! With such a strong foundation, it is no surprise that he is moving up once again to compete in the 2019 Pirelli GT4 America West races with his co-driver, Derek DeBoer.